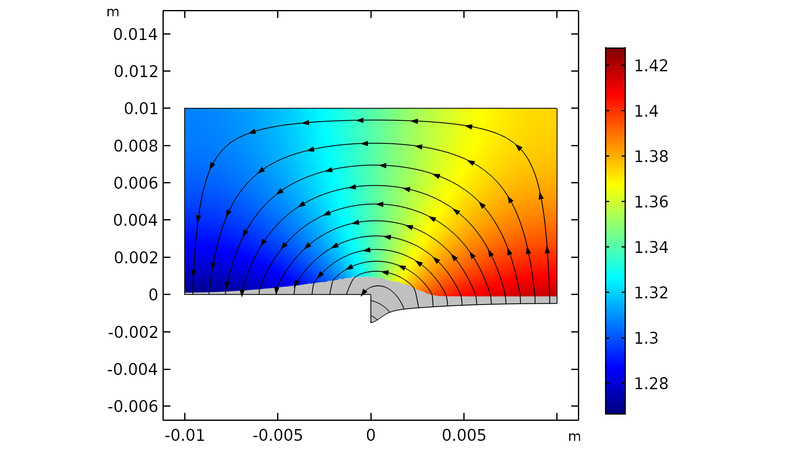 For users of the Corrosion Module, COMSOL Multiphysics® version 5.4 brings a new Level Set physics interface and two tutorials to demonstrate the functionality for corrosion modeling. Read more about the corrosion news below. 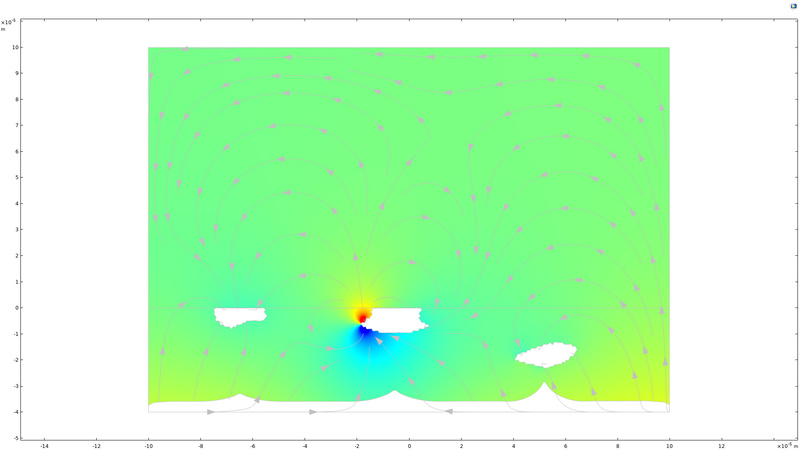 The Level Set interface has now been added to the Corrosion Module for modeling corrosion problems where the topology of the corroding electrode surface changes as a result of the corrosion processes. You can see this feature used in the two new models below. Localized corrosion between two different phases in a representative cross section of a magnesium alloy. The electrode shape (outer boundaries) and corrosion product deposit (gray area) resulting from a galvanic corrosion process, shown together with the current density streamlines and electrolyte potentials. Electrolyte current density (arrows) in the cross section of a magnesium alloy during localized corrosion.